EASTERN Province has a total of 2,248 inmates in various correctional facilities, the High Court judges heard yesterday. 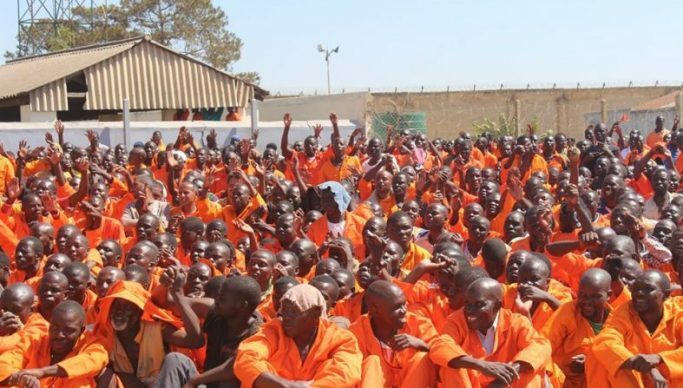 Speaking when he presented a correctional facility status report during the opening of the criminal session before High Court Judge Catherine Phiri, Chipata Central officer-in- charge, Singendaba Mumbuwa said Chipata had 1,137 inmates, Lundazi, 392, Petauke, 290 while Nyimba 200 and Katete 229. Mumbuwa also informed the court that the situation in all the facilities is generally calm adding that food rations for the second and third quarters had started coming in. And Justice Lombe Phiri said she would inspect Petauke correctional facility on a date to be communicated. Meanwhile, a woman of Petauke district has pleaded not guilty to three counts of murder and one count of attempted murder contrary to the Laws of Zambia. Particulars of the offence in count one are that, Adess Lungu, on unknown date but between July 12, and July 13, 2016, did murder Brian Sakala and in count two it is alleged that Lungu on unknown dates but between July 12, and July 13, 2016 did murder Alick Sakala. In count three, it is alleged that Lungu on unknown date but between July 12, and July 13, 2016, did murder Alick Sakala while in count four it is alleged that Lungu on unknown date but between July 12 and July 13, 2016 did unlawfully want to cause the death of Lazarous Sakala. Justice Lombe Phiri has since adjourned the matter to April 5, 2019, for commencement of trial while the accused has been remanded in custody.